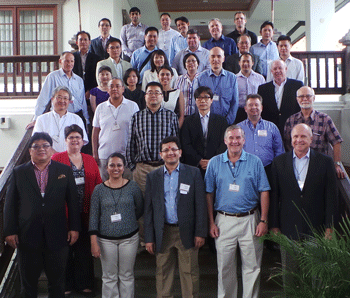 Thank you for attending the 2014 APAC Regional Conference in Bali, Indonesia. We hope you had an enjoyable and productive experience. A special thanks to our host Partner, MIR Insurance Brokers, for their local support in putting the conference together. Thank you to those who completed the evaluation survey. Results revealed that all respondents found the conference to be better or equal compared to similar conferences attended, and the most beneficial parts of the conference were networking, the exchange of information and the increased interaction among the APAC region. As noted during our wrap-up session, the key topics gatekeepers would like to drive forward in 2014 include: capability mapping, the sharing of best practices and success stories and exploring options for reinsurance support. The principals identified three key initiatives for 2014: capital funding for the APAC office, branding and business development/collaboration. In addition, each Partner firm committed to submitting at least one article per quarter for the Eastern Sun newsletter. Finally, all agreed that open and transparent communication in a spirit of trust within the region is important for the future. We look forward to seeing you next year at the 2015 APAC Regional Conference in Singapore!